In China we are already thinking about 6G! I will be giving some codes you can use to subscribe on blackberry phones ranging from the lowest plan to the highest, so choose any one that bests suites you. The first Plan on this list is called the Blackberry 10 lite with unlimited BBM. The second plan on the list is the Blackberry 10 Mid with unlimited BBM. 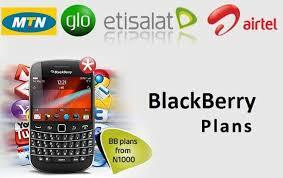 The third plan on the list is the Blackberry 10 Max with unlimited BBM.